Are you growing out a mustache or beard for Movember? On the heels of Breast Cancer Awareness Month in October, a month that is generally aimed at women’s health, we want to make sure the men are taking the necessary health precautions too! November is a time where we look at some key issues that men face. November is National Impotency Month, and of course Movember is the movement where men do not shave to lend visible support for things like prostate cancer, testicular cancer, and mental health. Men’s health is important to our team. 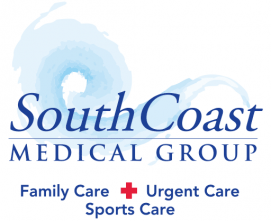 Recently, Dr. John Cheng, MD, of South Coast Medical Group, spoke on men’s health issues at Advanced Medical. In his talk, he discussed just how important it was for men to be screened for different diseases, conditions, and illnesses. Dr. Cheng outlined exactly what men should be looking for at each point in their lives. First, Dr. Cheng opened with the fact that on average, men live for more than five years less than women. That not only translate to an earlier death, but men also will suffer worse qualities of life and health. This may be part of the reason why: men are more likely to die from heart disease and heart attacks than women. Dr. Cheng went on to explain that men in their twenties should be getting regular flu vaccinations, testicular cancer screening, and regular blood-work despite being at peak vitality. He continued to explain that men in their thirties should begin to examine any changes in their weight. At this age, changes in skin, increase in stress, high cholesterol, and reproductive difficulties tend to become more apparent. Managing stress, eating a clean diet, and staying flexible can help mitigate these potential health problems. Once men reach their forties, prostate exams and eye disease screening become more important. Also, at this age men should begin colonoscopies to search for any potential problems with their intestines, such as colon cancer. Dr. Cheng explained that turning 40 is a transitional time that affects every part of the male body from physical appearance to bone and heart health. Dr. Cheng’s talk closed out with advising men in their fifties and beyond to keep off excess pounds and to add in plenty of omega-3 fatty acids which slow cells’ aging process. He also recommended men get 7-9 hours of sleep each night. When was your last physical? When was the last time you came in to see your doctor for a quick check-up? If you are a male and haven’t seen a doctor in a while, it may be a good time to give us a call. Contact us at 949-360-1069 to set up a time for you to come in, and we can get started on making sure you are healthy, happy, and living your best life possible. So be a man and start taking charge of your health. You only have one life to live so you might as well make sure it is the healthiest one it can be!